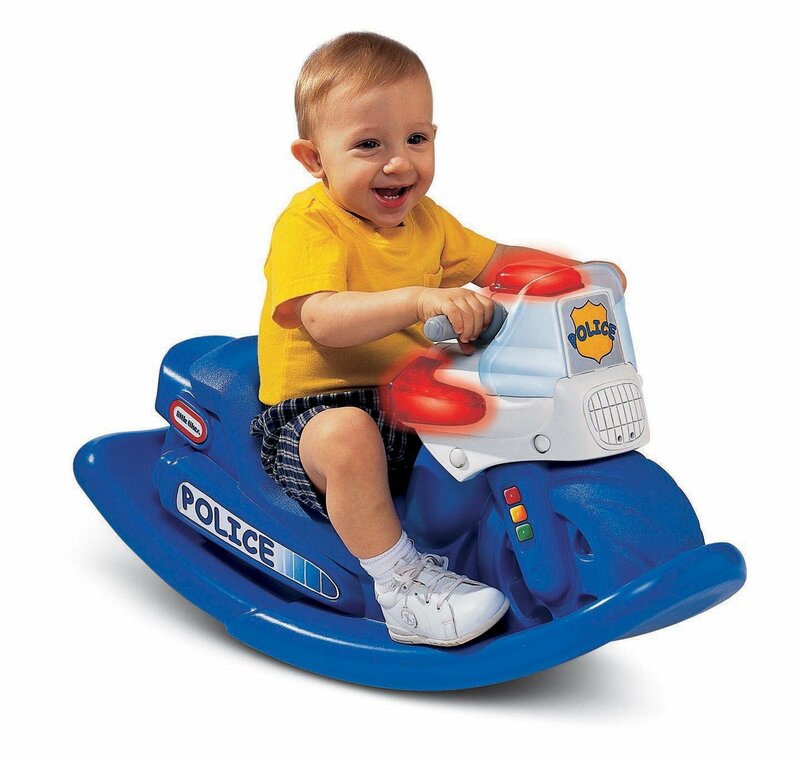 Children can rock all day long with this police cycle by Little Tikes that comes with stickers, police car sounds, and a realistic sounding police siren. With stickers, a siren, and real flashing police lights, your child can rock on their own, toddler sized police cruiser. The siren has been said to be very loud, so older children who are less startled by loud noises will enjoy this toy. Kids can rock back and forth on this rocker that looks like a police car, fully equipped with stickers, noise-making buttons, and a police siren. There are many different buttons that kids can press that will make noise or talk. Kids can press on any of these to hear and feel like a policeman or policewoman. There’s even a special button to press that will make a siren noise-the classic sound kids think of when they see a police car. All while doing this, they can rock back and forth to feel like they are driving their own police car! 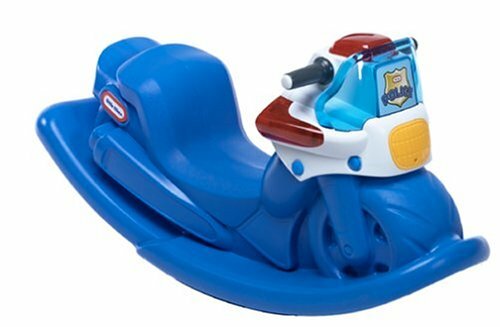 Fit with stickers, buttons, and even a siren, the Police Cycle Rocker by Little Tikes is a fun toddler toy. Children as young as 15 months old are able to use the rocker, sitting on it and pressing the buttons that make sounds. Reviewers say that even after several years and lots of playing, there is no visible sign of wear and tear. It’s made of a hard plastic, which makes it very sturdy. Batteries are needed to keep the siren going and the lights flashing, but even if they do run out, the toy can still be used as a rocker. It’s easy to assemble and the batteries are easily replaceable if they no longer work. Users say their kids, grandkids, and friends have gotten a lot of use out of the rocker, and it keeps their kids occupied. However, similar to some other noise-making toys, some users complained that the siren is too loud and it scares children. There is no way to turn the volume down, but to prevent a child from being frightened of the toy, we recommend that a child be at least one and a half years old before they use the toy so that it doesn’t startle them as much as it would a younger child. To wash, the rocker can be wiped down with a damp cloth. The Police Rocker is made out of plastic and comes with stickers that can be put on to show where each button is and make it look more like a real car. Because the main concern is that the speaker scares kids because it is too loud, we recommend a child be one and a half years old (18 months) before using this toy. Bad guys beware once your little one gets on this "child activated" Police CycleSounds Rocker from Little Tikes. The rocking motion activates realistic motorcycle and siren sounds, and police lights. Your little cop can push buttons on the seven-function instrument panel to hear police dispatch messages and light up the dashboard.